I'm so excited to share with you all these simple, delicate and 'oh so lovely' earrings from Larimar, a new online jewellery boutique. The accessories brand kindly sent me this classic pair of pearls, and I'm in love. The simple yet stylish design makes these earrings quite striking when worn, as the silver constantly catches the light, helping to draw attention to their unique look. I'm usually a 'small and discreet' kind of earring girl, but this pair has inspired me to wear more longer length styles. Larimar have a wide selection of gorgeous jewellery to choose from, and you can view the full range here: www.larimar.com. The brand Larimar actually takes it's name from a rare, blue stone found only in the Dominican Republic. Although I opted for white pearls, the website features a variety of turquoise designs. If you'd like to know more about the rare blue gem, or find out more about the brand, click here! Which item is your favourite from their collection? Let me know in the comments below! I am in love with these adorable earings, thanks for sharing!!! Beautiful earrings! Have an amazing Sunday Helen! the earrings are gorgeous. if it was gold it would def be something I would purchase. Wow...nice earring, simple but stunning, great post dear! Would you like to follow each other? if you decided to follow me on BLOGLOVIN and Instagram please let me know so I can follow you back. Thank you. Ah love these, such a simple but gorgeous design! I actually don't have my ears pierced (I kept losing earrings so let them close up haha) but I always see such gorgeous ones I wish I'd kept them! This is so pretty and precious! The ear rings are nice. I bet they look great on too! The jewelry is truly beautiful. My favorite is the Triangle Larimar Ring, the stone is amazing! they are absolutely lovely and timeless chic! Uau very very pretty earrings! I love this classic style! Wow, lovely earring. 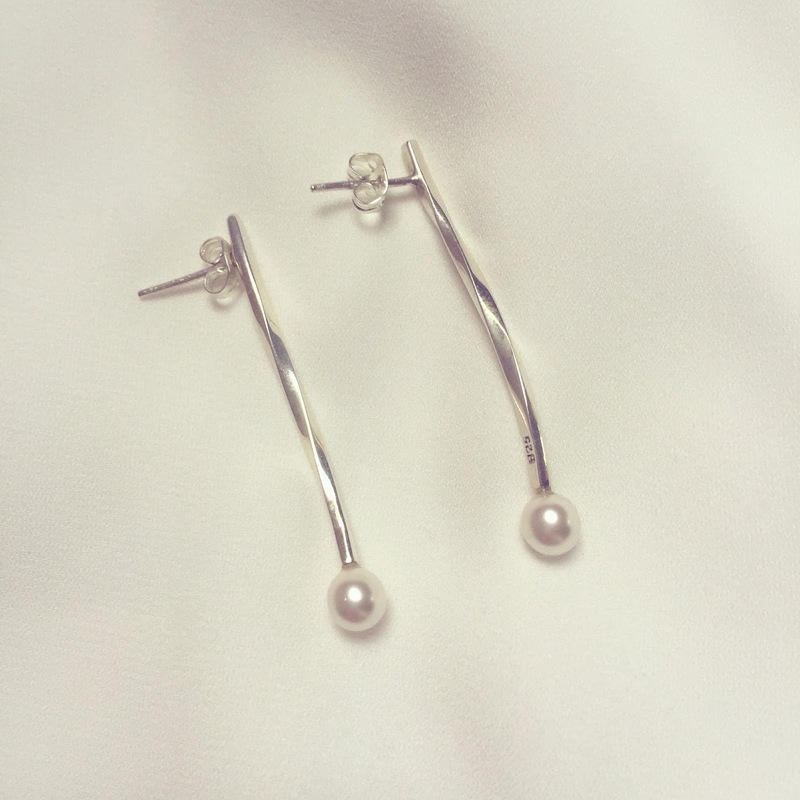 It is just like my most favorite contemporary classic pearl earring which I bought from “Timeless Pearl” online store for my birthday. I love this type of pretty earrings. This is really a unique type of earring which looks very fashionable.